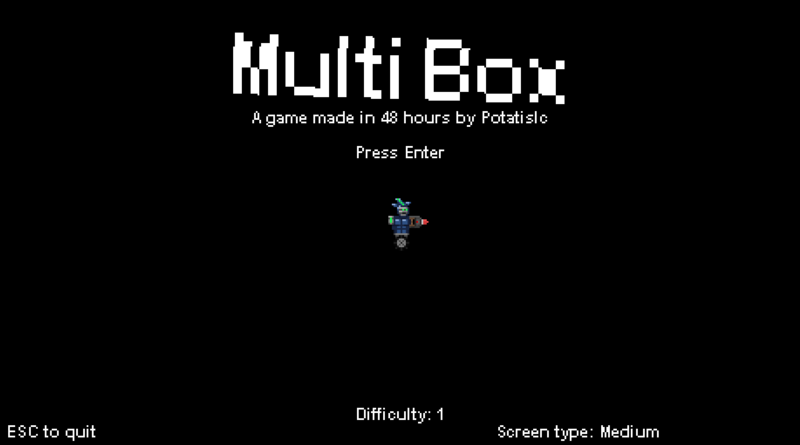 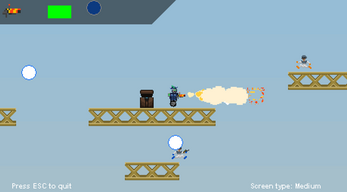 An insane platform bullet-hell shooter where the enemies drop Multiboxes! 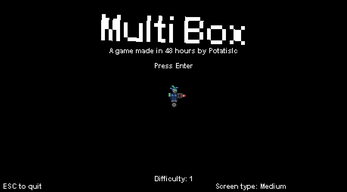 These boxes grant you one weapon and health! 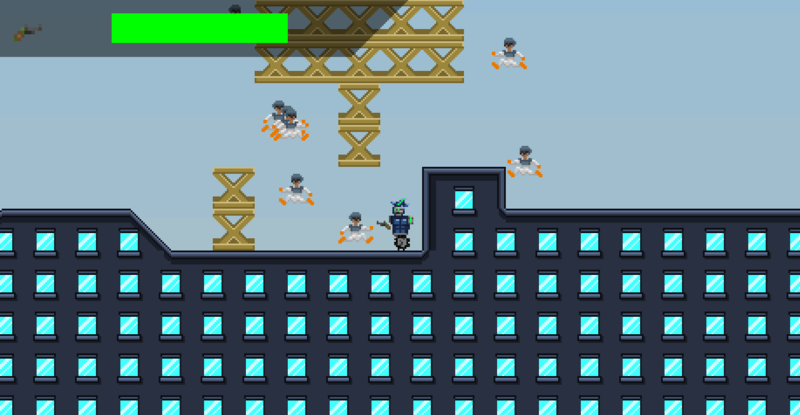 - Beat the boss multiple times to gain trophies!